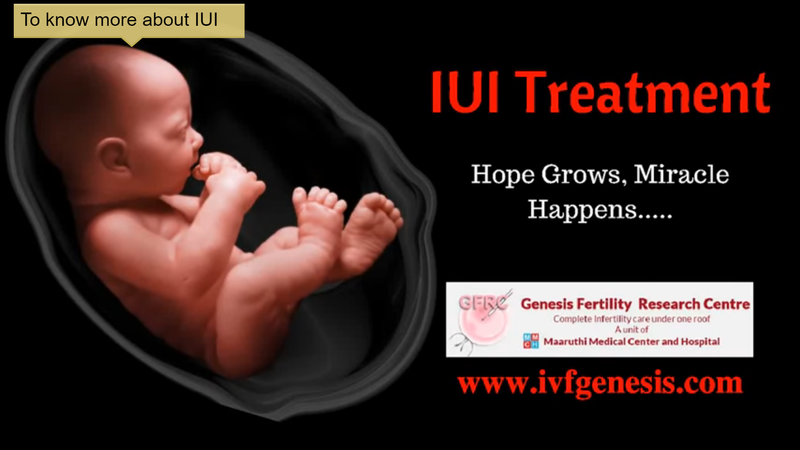 The success story of Genesis IVF & MMCH in infertility treatment is achieved by the IVF team which is led by Dr. Nirmala Sadasivam .M .D., D.G.O., MNAMS., Ph.D., Who got trained at various world class institutes overseas, since 1991 , who has pioneered in BLASTOCYST CULTURE technique since 1998. 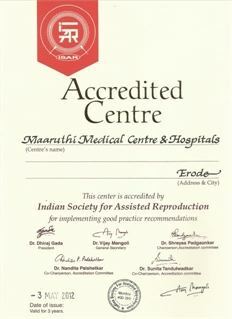 This institution was endorsed at the earliest in NATIONAL ART REGISTRY OF INDIA , being a prestigious senior member of ISAR- Indian Society for Assisted Reproduction, India. Recently, ICMR Accreditation is done with Enrolment Number-10326. ASPIRE Asia Pacific Initiation of Reproductive Endocrinology, Hong Kong has included our center as one among the esteem early participant, in their academic events. 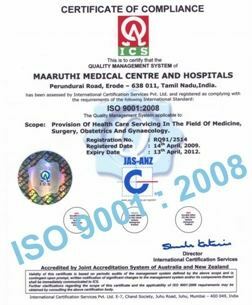 Who got trained at various world class institutes overseas, since 1991 , who has pioneered in BLASTOCYST CULTURE technique since 1998. This institution was endorsed at the earliest in NATIONAL “ART” REGISTRY OF INDIA , being a prestigious senior member of ISAR, India. 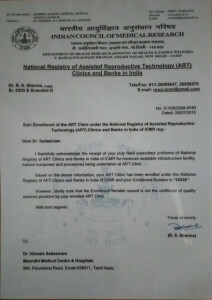 Recently, ICMR Accreditation through Indian Society of Assisted Reproduction has been done (2011). The world level recognition being the “Medical Miracle” of giving motherhood for 64 years old Mrs. Pappathi Subramaniam on 23.2.04 which was flashed in all media worldwide. This news has gained importance and it is occupying a page in BBC website till today. 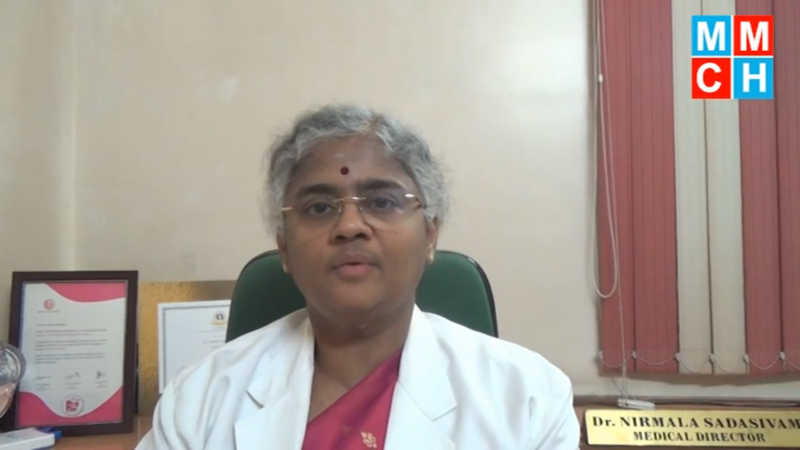 This enduring success has a strong base of stupendous tissue culture technology (BLASTOCYST CULTURE) which conquered all obstacles of implantation in this old woman. The eldest parents of universe Mr. Subramaniam (74 yrs) & Mrs. Pappathy (64 yrs) .